A story in Today's Guardian, and particularly its headline, illustrates perfectly how the word "business" has become co-opted by the rich and powerful, so it no longer means what it ought to mean. The story relates to a report from investment bank Morgan Stanley about future prospects for investors in the UK economy. The Guardian headlined it as follows: Corbyn becoming PM is 'worse threat to business than Brexit', says bank. If that's not good news, I don't know what is. The idea that "business" would object to it perpetuates a myth that wealth-creators and actual people are different categories with different interests. That myth has arisen because of the lazy way in which "investment" and "wealth-creation" have become conflated in the language of politicians and headline writers. Wealth-creation requires the hard work and ingenuity of real people. Most businesses are small, often family-based firms, the interests of which closely coincide with the people who work for them and the communities in which they reside. Investors, on the other hand, are people and institutions who don't create new wealth but use what they already have to cream off a share of the new wealth created by others. It's not business that is threatened by a government that would prioritise public services and poverty pay. It's the global rich, who want to get richer. That's what the headline should say. THE GOVERNMENT IS IN A HOLE OVER HOUSING. TIME TO STOP DIGGING. 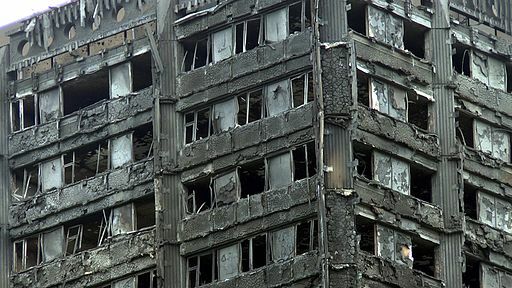 As the fallout from the terrible fire at a tower block in North Kensington continues, it may still be months before we know the precise details of what went wrong. The broader context, however, is already clear. That context is the housing market, which has taken a universal human need and turned it into a financial investment that ever fewer people can afford. This picture is clearly painted in a new report that shows how older people have stacked up £2.3 trillion in the past two decades through gains in a housing market from which most young people are excluded. It reminds us that buying a home, unlike a conventional purchase, transforms a person's relationship with the money system. From wanting prices to be low, to make a home affordable, they now want them to be as high as possible, both to maximise the value of their asset and and to reduce the proportion of it that they owe to their lender. That, at least, is the working assumption of which the politics of housing is based. It is a story of winners and losers in which winners have houses (appreciating assets) while losers rent (handing over money that they will never get back). Since everyone wants to be a winner we are encouraged to think of home ownership as an aspirational norm. Meanwhile, a report from Shelter suggests that more that a million private renters could be homeless by 2020 - the ultimate losers in this divisive system. If home ownership is the "norm", it is easy to see how landlords - including the owners of social housing - may view the accommodation they provide as "temporary", and therefore not needing to meet "permanent" standards. It explains why, according to this report, one in three private rented properties in England does not meet the minimum standards for a decent home. If renters are merely perched on a stepping stone to home-ownership, why does the condition of their home matter? And if they're stuck with renting for the long term it must be because they're too poor, too disorganised or insufficiently motivated to achieve the market participation that society expects. In reality, however, the ownership we're talking about here is not of housing, but of land. Building land is hugely valuable; it represents a high proportion of a home's market value. Government, both centrally and locally, controls the supply of that land through the planning system. It also owns a lot of it, and it used to own far, far more. The sale of public land assets, either directly or via the privatisation of public service companies, has been unrelenting since the 1980s. From council housing, railway land, sorting offices, army housing, court buildings, police stations, hospitals, playing fields and car parks to other large acreages of the public realm, cash-strapped government departments and local authorities have sought to maximise the short-term value of their land assets. Whether it is true that the cladding at Grenfell Tower was added to make it look more attractive to residents of other, higher value, developments, it certainly rings true. For many local authorities, the supply of so-called affordable housing is contingent upon the returns they can make on high-end property built on formerly public land. Now, however, the long term consequences of this short term market opportunism are becoming painfully clear. Land values are such that more and more families have to be housed at least partly at public expense. Through housing benefit, subsidies to developers and homebuyers and grants to housing associations for land purchases, government is paying handsomely for the land value frenzy of the past thirty years. Not to mention the costs that arise in the wider economy when housing takes such a large part of people's incomes. When you're in a hole, stop digging. If asset-stripping the public realm for short-term gain is making matters worse, it's time to try different approach. What if, instead of milking it for profit, the government made housing land available at zero cost? Houses would be sold for the value of their bricks and mortar only, on condition that they are only ever re-sold on that basis. The savings in housing benefit and other subsidies from this new stream of ultra-affordable housing would soon outweigh any short term bonanza. Over time, this secondary market in zero land cost housing would bring down prices on the open market too. Provided this effect was slow, and managed, would that really be such a bad thing? If we're interested in long-term change, if we want a new economic and political system that values human wellbeing and respects the environment upon which it depends, then the outcome of the general election may well have been as much as we could hope for. For the millions supporting Corbyn's Labour, that message could be hard to hear. After all, with only a handful more seats Corbyn could now be installed in Downing Street, framing a minority government programme that the other "progressive" parties would find hard to vote down. Enticing as that sounds, however, its is likely that such an outcome would have ended in tears, and not only because coalitions thrown up by the UK's dodgy electoral system are inherently shaky. Even with a majority, Labour would still be obliged to operate within the neo-liberal economic system. That system would blunt its effectiveness, or even destroy its programme, risking disillusionment particularly among the newly-engaged young voters with whom Corbyn is so popular. If you doubt that, think back to 1997 and the return, with a massive majority, of a Labour government that was going to rebuild the social and industrial fabric destroyed by Thatcher. Blair embraced the market in his attempt to achieve this, and in the process gave us an independent Bank of England (concerned only with monetary policy and not social consequences); eye-wateringly expensive Private Finance Initiatives, an increasingly privatised NHS and a rise in the wealth and influence of the "filthy rich". Corbyn may not embrace the neo-liberal market system with Blair's fervour, but he still knows it's there. So his policies, with their cautious costings, are primarily focused on relieving its unfairer aspects rather than changing it at source. This is not to say that he, and particularly his ally John McDonnell, do not want to change the system. It's just that they don't (yet) have a project to do so. The ideas are all there. Academics, think tanks and campaigning groups have been working for decades to develop new models for corporate governance, banking, money-creation, fair trade, land ownership and wealth distribution, as well as the crucial question of how wealth is measured. Progressive parties have picked up on bits and pieces of these - the Universal Basic Income featured in the Green Party manifesto and Labour have a working group looking at the idea - but no one is weaving them together into a coherent political and economic programme. Since the crash ten years ago the existing economic system is widely acknowledged to be broken, yet conventional political wisdom says we're stuck with it. The idea that wealth is created through capital investment and asset appreciation rather than the work of people's brains, hearts and hands is so firmly ingrained that no threat to the owners of that capital - whether murky offshore funds, big corporate rentiers or merely home-owners basking in the glow of rising house prices - can safely be contemplated. If we want things to change, therefore, the primary and essential task is to shift that conventional political wisdom, and not just in parties or among activists or in the progressive "echo-chamber" but in the collective mindset of ordinary people who rarely think about such things. This means framing new, collaborative economic and political ideas not in working papers and policy documents but in the instinctual, emotional, personal and familial terms in which most people do their politics. Looked at rationally, high house prices are not good for our collective or individual wealth or wellbeing, but how do you convince a homeowner of that? A Basic Income will free people up to create real wealth for themselves, their families and communities, but won't people think they're just sponging off the state? Fair trade, social enterprise and community banking will tackle poverty and social exclusion while keeping wealth in local communities, but to many it may seem inefficient and unrealistic. These are feelings, not arguments, so they cannot be countered directly. Instead, new forms and pictures must be shaped, to help change the landscape from which those feelings are drawn. I don't know how to do that, but I mean to spend time in the next year or so trying to find out. While the Tories are making a hash of Brexit the task of true progressives is to crack this puzzle and thus change the central premise on which the next election is fought. Only if we do that can the passion and enthusiasm that Corbyn has tapped into find its full, meaningful expression as a driver of profound, sustainable, political and economic change. Memory soon adjusts to a new reality. A few months ago I woke up (in France, as it happens) to the news of Brexit; this morning's news of the US election is of the same shocking quality. As with Brexit, we have no idea what this really means, but the sense of shock will pass, probably sooner than it should. It's far too early to start speculating on what Trump's presidency may hold. It's worth remembering, however, that, just as the left was rapidly disappointed by Obama, so may Trump in office prove less radical than his supporters hope. The Republicans will still control Congress, but that party is now so divided that "control" may not be quite the word. And Trump is not an experienced political operator, so the administrative machine is bound to slow him down. On one thing, however, the pundits are likely to agree: the Democrats put up the wrong candidate. I flagged this up in a post last April: although the polling back them suggested that Clinton would beat Trump, it also showed that Bernie Sanders would beat him much more easily. The U.S. electorate was in the market for radical change. Trump and Sanders were both offering it, but Clinton was not. Before the shock passes, therefore, it is worth reflecting again on what lessons can be learned for British politics. At the moment we're enduring the triumphalism of the nationalist right, buoyed up by the fact that predictions of post-Brexit economic fallout have not (yet) come to pass. 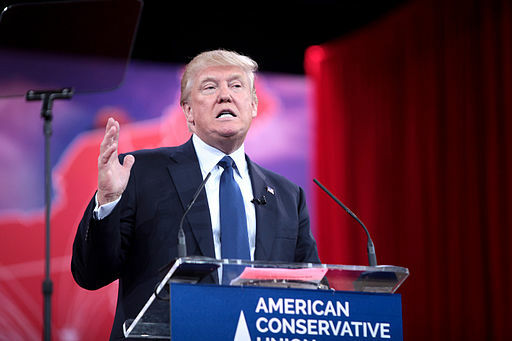 This new right, however, has no plan to address the profound issues of inequality, poverty and social marginalisation that gave rise to the Brexit vote and have now brought Trump to power. Effective as a force of opposition, it will become increasingly vulnerable when things don't get better as a result of its policies. To prepare for that moment, it is no good rehashing a sort of Blairite/Cameronian globalist centrism in the hope that a chastened electorate will in due course "come back to mummy". The voters are correct in their instincts, that a system so massively stacked against them requires fundamental change. If the new right can't provide that, then history may view the votes for Brexit and Trump not as definitive in themselves but as the triggers that put the entire neo-liberal consensus in play. It's time to get ready. Policy strives to achieve the things that it measures, and nothing is more fervently measured in modern economies than GDP. If increasing GDP is the policy objective, then encouraging trade - any sort of trade - will generally help. GDP measures money transactions, so the more times a product and its components are traded on their journey from producer to consumer, the more GDP is recorded. That, in summary, is the basis for TTIP, TPP, TISA and, currently, CETA, the Comprehensive Economic and Trade Agreement negotiated between the EU and Canada, which the regional parliament of Wallonia, in Belgium, is refusing to pass. Trade agreements increase activity in global markets, which increases GDP. The size of that increase is much debated, but even a tiny percentage of GDP is a big number in pounds or Euros, and makes for good headlines. The extent to which trade agreements actually increase GDP is not, however, the real issue. The lie at the heart of trade policy is much bigger than that. The lie is that increasing GDP makes people wealthier, when it can easily have the opposite effect. As economies grow, what matters most is how that additional wealth is distributed. If most of it goes to the already-wealthy, then the rest of society becomes relatively poorer. Relative poverty is real poverty: when the rich people who hold assets such as shares and property get even richer, then housing, energy and basic services become more expensive and poorer people can buy fewer of them. Both statistics and human experience bear out this point. Statistics show that median US incomes have not risen since the 1960s, although GDP has more than doubled. Experience in the UK is that while the UK economy is generating plenty of jobs, more and more of these do not pay enough to live on. Poorly paid, insecure jobs generate GDP and make employers richer, but they leave employees with insufficient wealth to live. The connection between these outcomes and global free trade has to do with the way in which the nature of trade has changed over the years. Originally its purpose was to exchange things that one could produce for things that one couldn't. This could be driven by variable factors such as climate, environment, natural resources or the availability of expertise and technology. Thousands of years ago the people of Cornwall were exporting tin on this basis, and importing fine quality manufactured goods such as pottery and silverware. These days, however, trade is increasingly driven not by need or availability, but by price. The technological capacity of Europe and Canada are similar, and their climates are comparable, too. There is not a great deal that either can produce that the other cannot. 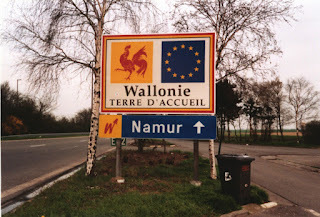 There is no reason to suppose, for example, that Europe cannot produce as much pork as it can eat; and yet the people of Wallonia are worried about their pig farmers, because CETA will allow unrestricted E.U. access for 80,000 tonnes of Canadian pork. The only rationale for shipping 80,000 tonnes of pork thousands of miles across the Atlantic is that, even after the cost of that shipping is taken into account, it will still be cheaper. Which means that its cost of production in Canada is significantly lower, presumably because it is produced on an industrial scale. And cheaper pork is, apparently, good for European consumers, who are feeling the pinch because their own incomes are being squeezed. And this is where the real problem with GDP-driven trade policy becomes apparent. Not only does GDP fail to take account of the distribution of wealth, but it also takes no account of the qualitative aspects of people's lives that cannot be measured in money terms. In 2013 the UK government released research findings showing that, although GDP had more than doubled in the previous forty years, people's life satisfaction had scarcely changed at all. Living in a country that was twice as rich did not make people happier, because the way in which that "twice as rich" was measured did not capture the things that really mattered to them. Raising pigs on smaller farms in Wallonia may be more expensive in crude money terms, but it may also be conducive to a higher quality of life by preserving social and cultural networks in local communities and protecting the environment. These things have value. They can make or break the quality of people's lives, and its sustainability, and yet they have no place in the calculation of the benefits and losses that arise from unrestricted global trade. People across Europe are waking up to the fact that economic "growth" as measured by GDP does not make them wealthier in terms that they recognise. Instead, it is disrupting their communities, causing people to trek thousands of miles in search of low-paid, insecure work; it is raising the cost of housing and energy; it is pouring money into the coffers of already-wealthy investors; it is giving multi-national companies more and more power over people's lives; it is depleting public services, as taxes on the wealthy are lowered to encourage investment; it is degrading the environment - not least with the CO2 emissions that will arise from shipping all that pork across the Atlantic. Plucky Wallonians have finally said "non" to this madness. Instead of trying to strong-arm them into changing their minds, the Eurocracy would do well to learn from their good sense. Much of my childhood was spent in rural east Somerset, at the foot of the Mendips. For us children, Frome was "the smoke" - an industrial town that we only visited for its railway station, or for rare purchases that the local shops in Evercreech and Shepton Mallet could not provide. Fast forward 40 years and Frome has morphed into a locus for alternative living. The Transition Movement may have been born in Totnes, but its Westcountry cousin has swiftly overtaken it in terms of political and economic innovation. Frome's "Flatpack Democracy" has produced a town council of independents focused on collaboration, devoid of members from any known political brand. It was this reputation that brought Upstream, a radio documentary project from Economics for Transition, to the town this summer, to explore how new, wellbeing economics might work when applied in a live situation. (Full disclosure: I was interviewed for the project). The result is fascinating and unexpected. Over three one-hour programmes, Upstream's Della Duncan digs deep below the surface of Frome's burgeoning "sharing economy" to reveal the still livid scars of thirty years of de-industrialisation and social deprivation. Frome's pioneering political and economic model may indeed bring hope and inspiration to a wide, even global audience. But at a local level the tensions are palpable. With the factories that I remember from my childhood long gone, and little of real productive substance to replace them, Frome now typifies the divergence of interests between a dispossessed working class that struggles to be heard and an increasingly vocal, socially liberal, aspirational, alternative movement. Nowhere is that divergence more clearly seen than in house prices, which incoming gentrifiers have sent rocketing far beyond the reach of most locals. This tension - between liberal alternative values and those of the traditional labour movement - runs right through the anti-establishment forces ranged against the current Conservative government. In the middle stands the figure of Jeremy Corbyn - a stalwart of the Labour movement rapidly becoming an icon for many old-school liberals drawn to his principled positions. Fifty miles to the west of Frome lies Hinkley Point, where a huge new nuclear power station is planned to be built on what are widely regarded as ruinous terms. Corbyn is opposed to this folly, along with everyone of an even slightly green, alternative disposition, but the labour movement, as represented by the trades unions and many in the Labour Party, is broadly in favour. They welcome the jobs the investment will bring, and see it as a boost to British industry rather than a rash mis-allocation of precious resources. The recent row over Hinkley Point mirrors a far deeper one within the Labour Party over nuclear weapons, where the renewal of Trident also has strong trades union support. Corbyn, a long standing CND supporter, is opposed on principle, but the unions want the investment in jobs that the project will bring. Meanwhile the Conservative government has a free hand. Even Corbyn now accepts the futility of merely deepening Labour disunity over the issue. It is clearly within the remit of trades unions to fight for good jobs at decent rates of pay, but from a new economy perspective their approach to these nuclear projects looks like outdated thinking. The combined cost of Hinkley C and Trident renewal is at least £50 billion just for construction, while the long-term cost of the power station is estimated at up to £37 billion and of Trident at £167 billion. 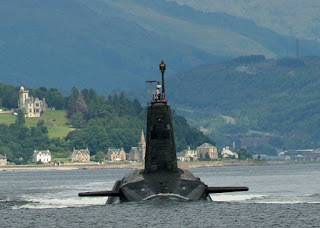 To target such colossal resources at protecting a relatively small number of skilled jobs - 13,000 in the case of Trident, according to one union estimate; up to 25,000 construction jobs at Hinkley - will do nothing to improve the quality of life of the millions of insecure and poorly paid workers that the labour movement should also be representing. What is more, most of the jobs at Hinkley, and many of those related to Trident, are relatively transient. At Hinkley the peak number is estimated at 5,600. Once the plant is built it will require only a few hundred to keep it going. So the unions' approach seems not only outdated but short termist, too. The more important question is not how a few tens of thousand jobs can be secured now, but how the financial security of ordinary people can be re-established in a world in which the only things preventing many human workers being replaced by machines is that human workers are cheaper and easier to get rid of. If the economy were functioning as it should, progress would not mean more paid work, but fewer, better-paid working hours and more time for people to do the things that really matter to them. From this perspective the unprecedented number of jobs that the UK economy is generating is not good news. If the nation is to prosper, we need to work less, but smarter, getting rid of poorly paid, insecure and increasingly unproductive work and replacing it with the sort of creative, productive activities that allow people to flourish. The basic income is central to this. Both John McDonnell and Jeremy Corbyn say that Labour is "looking at it", and the TUC at its recent conference passed a motion in favour of it, but there is little evidence to suggest that at present the labour movement sees it as much more than a rejigged benefits system. Its potential, however, is far greater than that: for many it will replace paid work altogether, allowing them to create wealth directly for themselves, their families and their communities without the intervention and profit-taking of investors and middlemen. This new approach to distributing money-wealth is the missing piece of the puzzle that Upstream uncovered when they went to Frome. A sharing economy requires a sharing of the means of participation, which means ready access to the money needed to get anything done. In the same way, if all those highly skilled, motivated workers destined to work on Hinkley or Trident had the opportunity to decide for themselves how to participate in the economy, their combined output would undoubtedly be far more valuable than the two vast nuclear white elephants that are now in prospect. One week later, the spectacle of Team GB's Olympics medals triumph seems a distant memory. It was great while it lasted, not least because it was so unexpected, but the British passion for sports has more to do with commitment that results. We like a loser who gives their all just as much as a winner who cruises to victory. 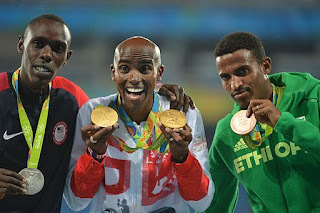 So the UK's second position in the medals table is of passing interest rather than national significance. It's the sport itself that matters, and in the past seven days the sport has moved on. That's my view, but Liz Nicholl, the chief executive of UK Sport, would beg to differ. "We invest in medal success to create a proud, ambitious, active, healthy nation", she said, hailing the UK as "a sporting superpower" and promising to build on the team's Rio success at the next games in Tokyo in 2020. Some £350 million will be invested over the next four years to make that happen. Everybody knows that money counts in sport. We're told that each medal in Rio 'cost' over £4m, and almost every GB medal winner was on-message to praise the National Lottery funding that makes it all possible. Targeting continuous growth, however, will bring disappointment eventually. Just as the correlation between money and happiness runs out above a certain point, so the British public's love of sporting success soon turns sour once they learn to expect it. Winning predictably is not really the point. Performances that exceed expectation are what sport-lovers crave. Nonetheless, the money used by UK Sport to support individual athletes, buying them the time and space in their lives to perfect their calling, has effectively demonstrated an important principle. It recognises that financial security allows people to develop the stuff that they're good at, which, in turn, can have all sorts of social and personal benefits that transcend traditional commercial ideas of value. In a sense, therefore, lottery funding has become a sort of Basic Income for the lucky, talented, committed few with serious medal prospects. This object lesson in the principle of the Basic Income has its limits, however. For, if "a proud, ambitious, active, healthy nation" is really the purpose of sports funding, then focusing on individual medal prospects is probably not the best way to achieve it. Pride in its good sense means self-esteem and self-valuing; ambition means leading a fulfilled life; active means making decisions for oneself; healthy means having the time and opportunity to prioritise ones physical and mental wellbeing. None of these are achieved by passively watching others excel. All require active engagement, which means structuring society in a way that allows people to participate fully on their own terms. Sport is one component of this. If every Briton had time and opportunity (including access to facilities) to participate in sport, the nation's tally of sporting success would be certain to rise. We don't know how many potential Mo Farahs and Jessica Ennis Hills have been lost through a failure of participation, but there must be more than a few. More importantly, many, many people have been prevented by social and financial circumstances from participating at their own level - not competing for a place on the podium, but for the far more vital objective of fulfilling or exceeding their own potential. As in sport, so in every aspect of our lives. Whether as entrepreneurs, artists, carers, inventors, makers, designers or anything else, if we are to fulfil our potential and make our contribution to society we need the time and opportunity to develop every aspect of our talents, capacities and personalities. The Universal Basic Income isn't about picking winners, but acknowledging that everybody has the capacity to win - for themselves, for their families and communities, and for wider society. All they need is access to a fair share of the wealth that buys the time and opportunity to make this possible. "The best book on What’s Wrong that I’ve read since Peter Oborne’s The Political Class. It deserves a mass audience." "Near-perfect in its diagnosis and advocacy [about] what’s flawed in our current ways of thinking about society, its economic output, and how it is governed." "Doesn't settle for the usual answers ... an unusual originality and clarity of thought." This site contains a round-up of my web-based writing, both current and past. 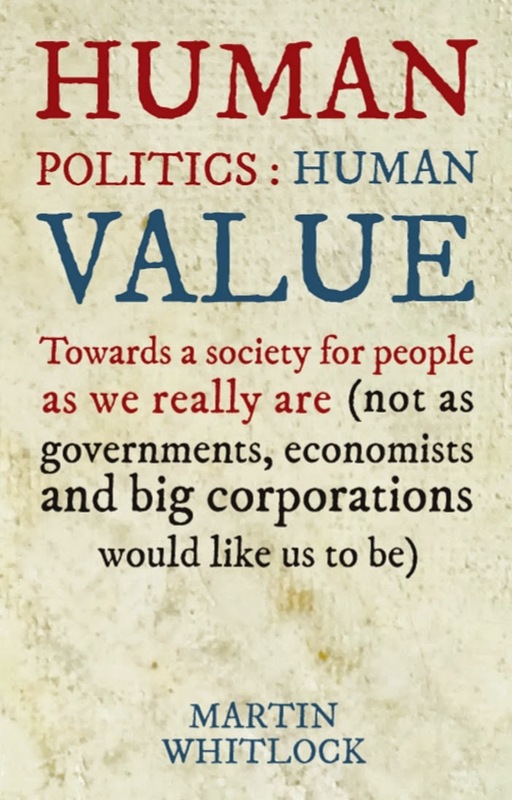 I post regularly on economic and political subjects, particularly those related to my book, Human Politics, Human Value, published in September 2014. More information about the book can be found here. A weekly series of political analysis pieces from 2003-04 can be found here. Find me on Facebook here, and on Twitter here. To contact me, there is an email address here. The many initiatives in the wellbeing economy that Totnes has pioneered should not be thought of as opting out of the money system so much as challenging that system to change its ways. The whole point of recreating a wilderness is that you do not exploit it for extractive gain. You value it for its natural diversity, which GDP will never do. Although much trade is useful, there is plenty that takes place for no social purpose other than to make a profit for the traders. This profit comes not from "value added" but from the losses or exploitation of others. History is an erratic process. Attitudes change as societies open up, and as economic, social and educational prosperity spread, but this happens differently in different places. It is legitimate to be appalled by barbaric practices from which ones own society has moved on, but it does not follow that one can bomb others into change. In the wellbeing narrative, value lies in whatever improves the experience of people's lives. Money is a useful tool, but not an end in itself, so, by measuring human progress in terms of the money transactions that fuel GDP growth, policy-makers exclude important personal, societal and environmental factors that profoundly affect the quality of people's lives. WHY DOES ANYONE IMAGINE THAT THE GREEK GOVERNMENT WILL SIGN? As the marathon Sunday evening Eurozone summit stretches out into the early hours of Monday morning, it is a rash moment to write a post that may be proved wrong by breakfast. Britain's Health Secretary Jeremy Hunt has called upon people to take more responsibility for their own health. He has also called for a new approach to the way that elderly people are cared for. One way to make this happen? Incorporate the valuable work of unpaid caring in the national measure of GDP. What does it mean when the economy of a country shrinks, as Greece's has done, by a quarter? It means that the money flowing through the economy is reduced in quantity, that the total of people's money incomes (both earned and unearned) is reduced and that the total money value of what they buy is reduced accordingly in. This also means that the country is less productive in money terms. That use of the word “money” as a qualifier in each phrase of the previous sentence is significant. The idea of a basic income - a fixed cash payment to all individuals, in lieu of state benefits and tax allowances, but sufficient to cater for their basic needs - is increasingly emerging from the shadowy world of obscure think tanks and idealists into the starker light of mainstream politics. If you're one of the 63% who voted other than Conservative, you may not yet have turned to wondering whether any good news can be sifted from this morning's surprise election result. The shock takes a while to wear off, but when it does a few glimmers of brighter light can be perceived.The first is that the government's parliamentary authority is hugely reduced. Writing about politics from the perspective of radical change is a dead loss during an election. Everybody heads for the centre ground for fear of frightening the horses, and even the Greens have been criticised for not pushing strongly enough their defining environmental agenda. The key to a successful campaign, as the parties know, is to keep things simple. Many of the basic assumptions about jobs, growth and the nature of wealth upon which the election debate is founded may be just plain wrong, but at times like this the truth is merely a complicating factor. How, then, should people respond for whom that complication really matters? European finance ministers reacted angrily, it was reported, to what they perceived to be Greek intransigence during their meeting in the Latvian capital of Riga last week. They don't like the refusal of the anti-austerity Greek government to play their game, and they have yet to work out what to do about it. One third of probation officers employed by privatised service provider Sodexo could face redundancy in the next 12 months, The Guardian reported last week. They are to be replaced – in part, at least – by electronic kiosks that allow offenders to “report in” electronically. Ed Miliband must have been delighted. 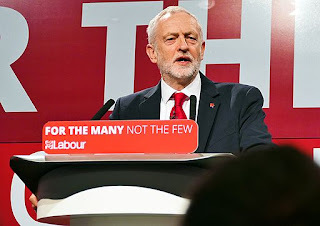 The news came on the day that the Labour leader launched his party's manifesto for business with a speech in which he said that tackling the UK's productivity gap is the key to the nation's economic recovery. Officials both in Europe and America, The Guardian reports, are convinced “that the Russians have infiltrated, or are helping to fund, NGOs campaigning in Europe against fracking and the proposed free trade agreement between the EU and the US”. The talk, apparently, among policymakers is of “Putin’s useful idiots” inadvertently giving succour to “slick Kremlin operations aimed at dividing and enfeebling Europe”. WILL GREECE BRING BACK THE MIDDLEMEN? Greek Finance Minister Yanis Varoufakis has a plan to link his country’s debt repayments to GDP growth. On the face of it, that makes sense. Everybody knows that debts can only be repaid when money is coming in. In debt-laden Britain, credit card companies go to some lengths to reschedule loans when people simply can’t pay. When the alternative is bankruptcy and permanent default, it makes sense to be patient. WHOSE SIDE IS THE EUROPEAN UNION ON? Whose side is the E.U. on? It is a question that would have arisen even without Syriza's election triumph in Greece, since the E.U. has become a divisive issue in the national politics of many member states. Attacks come from across the spectrum: both viscerally anti-E.U. nationalist parties such as UKIP and France's Front National, and radical movements such as Syriza and Spain's Podemos that are not anti-E.U. as such, but strongly oppose the economic policies that are embedded in its institutional structure. THE E.U. NEEDS TO LEARN THE TRUE MEANING OF "WEALTH"
Transcript of a talk given at the Consciousness Café, Totnes, Devon - 22nd January 2015. The case for the Transatlantic trade and Investment Partnership is all about cars. The E.U.’s impact assessment document on the proposed deal leaves no doubt about that. According to the assessment, motor vehicles and parts account for 47% of the anticipated increase in exports and 41% of the increase in imports in the most ambitious scenario. The details are in Tables 31 and 32 of the report. Plans by multinational food processing company Greencore to recruit overseas for the workers to staff a new sandwich making factory in Northampton provoked more questions than answers last week, not least the Daily Mail headline “Is there no one left in Britain who can make a sandwich?” Of the 8,000 people unemployed in the city, it seemed safe to assume that enough of them probably could. One question not asked, however, is whether that would be a good use of their energy and time. THE LIVING WAGE: NOT QUITE ALL THAT IT SEEMS? The Living Wage Foundation has made remarkable progress over 15 years, and in Living Wage Week, when new rates for 2014-15 are announced, it might seem churlish to carp at the detail. At £7.85 outside London the new rate is 20% higher that the statutory minimum, while the London rate of £9.15 is a substantial 41% higher. At a time when average real wages in the economy (adjusted for inflation) continue to fall, the living wage movement is a lone bright light in the generally gloomy outlook for low-wage employees.ion) continue to fall, the living wage movement is a lone bright light in the generally gloomy outlook for low-wage employees. George Osborne was out and about, last week, talking up the government's plans to get more women into work, mostly by providing childcare incentives. He wants to get another 500,000 "stay-at-home" mothers into the workplace by the beginning of 2016, reportedly in order to match the female employment rate in Germany. His timing was unfortunate, coinciding, as it did, with the publication of a report by the Institute for Fiscal Studies, which estimates that free childcare places for three year-olds in England are costing more than £65,000 a year for each additional mother who enters paid work. Russell Brand thinks the world can change because he has. His well-aired views on the futility of voting connect with this theme. Change comes from inside, he argues. To cast a vote is to engage with an external, artificial construct that operates within its own set of rules. If you don't accept the rules, than voting really cannot get you where you want to be. E.U. officials are keen to let us know that most of the benefits of the Transatlantic Trade and Investment Partnership - the vast and controversial trade deal currently in negotiation - will come from reducing "non-tariff trade barriers", known as NTBs. At present, many European and American factories produce different versions of their products for the two different markets, because each has its own set of manufacturing standards. Harmonising these standards will make them more efficient, the argument goes, allowing them to produce more with less. If everybody had agreed with him, the great Conservative William Wilberforce would not have had to dedicate so much of his life to the abolition of slavery in British realms. As it was, it took decades to convince parliament to outlaw the trade in human beings, and decades more before the Slavery Abolition Act itself could be passed. Bilateral trade agreements have been around for a long time, but thanks to TTIP - the big daddy of them all - and its controversial ISDS provisions, both the general public and the world of politics are finally sitting up and taking notice. For those who haven't yet done so, TTIP is the Trans-Atlantic Trade and Investment Partnership between the U.S and the E.U., currently in the final stages of negotiation behind doors that remain firmly closed. Mr Miliband wants to raise the minimum wage to £8 by 2020. This could be worth £3,000 a year, he tells the Labour Party Conference, deftly multiplying the £1.50 increase by 40 hours and 52 weeks. Factor in inflation, however, and the result is less impressive: if RPI (which includes housing costs) continues at its 2014 average of 2.55%, this year's £6.50 will need to be £7.56 in 2020 just to keep up. Given how far average real wages have fallen in the past five years, even a real increase of nine pence a year over a five-year period might seem welcome. But it is hardly the stuff to bring conference to its feet. COMPASSIONATE POLITICS - WAS THIS A EUREKA MOMENT? Even the Daily Mail was shocked. Perhaps that "even" is unwarranted. The Mail speaks for instinctive human responses, whether they are compassionate or cruel. In this case the parents of cancer patient Ashya King, who had withdrawn him from treatment in a hospital in Southampton, were imprisoned in Spain at the behest of British prosecutors, leaving the five-year old to fend for himself in a Malaga hospital. A petition to have them released rapidly garnered nearly a quarter of a million signatures, a campaign which deputy prime minister Nick Clegg was quick to support. The prime minister himself was reported to have weighed in, and police and the Crown Prosecution Service soon back-pedalled. By Tuesday night, the parents had been released and were travelling from Madrid to be reunited with their son. OFSTED AND THE "FALSE DICHOTOMY"
From this September, 40% of two year olds will be eligible for free childcare - a total of 260,000 children, according to government calculations. Places are said to be in short supply, with The Observer reporting on Sunday that 63,000 two-year-olds are on waiting lists and that "it appears many private and voluntary nurseries, which provide the vast majority of places, are reluctant to embrace" the government's free place initiative. Economists are puzzled by jobs and wages data that continue to show rising employment accompanied by falling real wages. The puzzlement arises because classical supply and demand theory dictates that when the need for workers grows (as rising employment suggests that it is) the price of employing workers grows with it. It makes no sense that wages would fall when the jobs market is so buoyant.